Overview Writer-director Walter Hill's 1978 study of professionalism and obsession stars Ryan O'Neal as the ultimate getaway friver, a sleek crook who's never been caught, and Bruce Dern as the cop who's determined to make the collar. Isabelle Adjani glamorously co-stars as the woman in the case, along with a full range of 1970s character actors. The gritty/glittering cityscapes are by Philip Lathrop, and the spare, moody score (available here as an isolated track) by the one and only Michael Small. My thoughts On IMDb someone headlined his review of this film “BULLIT's favorite nephew, THE DRIVER!! !” I think that's a pretty good description. This film has some very cool car chases. Ryan O'Neal plays “The Driver” against type. He had previously been in films like Love Story, What's Up Doc, Barry Lyndon and Nickelodeon. Bruce Dern is good as “The Detective”, but Isabelle Adjani, “The Player”, seems like she wishes she was in some other film. Nobody in this film has a name. Well, presumably they have names, but no one is ever refered by name, and the cast list only refer to them by description. So Matt Clark is “Red Plainclothesman” and Felice Orlandi (who was also in Bullit, by the way) is “Gold Plainclothesman”, etc. A very good action movie that's available on blu-ray from Twilight Time, which looks and sound great. Highly recommended! 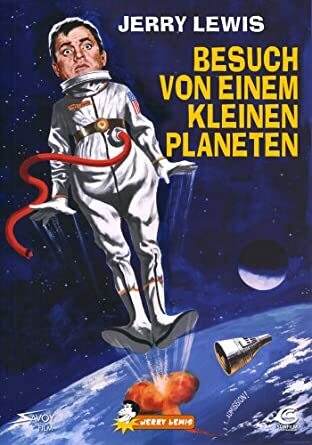 Overview Jerry Lewis is Kreton, a childish alien who, against his teacher's will leaves his planet to visit the Earth, and lands in the backyard of a famous television journalist who doesn't believe in U.F.O's and aliens. Wanting to study humans but not able to fully understand them, Kreton makes a mess out of it, generating a lot of comic situations. My thoughts I like Jerry Lewis, but sometimes he gets a bit too much. And that pretty much sums up this movie. It has some nice gags and several very good actors. For much of the movie Jerry is quite funny, but in a few sequences he is just too... Jerry. For those of you that have Amazon Prime, this apparently is a free download. If you want it on DVD, you may have to make do with a German or Spanish release. I watched the German DVD, and it's fine. It has German and original English mono audio. I have to admit that Jerry Lewis IS a guilty pleasure of mine. And "Visit to a Small Planet" is one of my favorites. He can be a hammer at times but his genius seems to over come this *most* of the time. Also really like "The Delicate Delinquent". I like Jerry Lewis, too. But he can sometimes go a bit over the top. I probably couldn't stand a Jerry Lewis marathon. He is best enjoyed in small doses, I think. Funny that you should mention "The Delicate Delinquent", because it's the one Jerry Lewis film that I have a very good memory of seeing at the cinema. This was sometime in the late sixties. My friend and I saw the movie ad, and because it had a rather nondescript Swedish title we called the cinema to find out the original title, so we would know what film it actually was. The girl in the box office had great difficulty in pronouncing the title. She only got as far as "The Delicate Del..." when I interrupted her and said it was ok, that was enough for me to know what film it was. And I haven't seen it since. I have it on DVD, but it's one of those films that I have hesitated to watch because I'm afraid it may not live up to my expectations almost half a century later. I watched it for the first time in 2-3 decades about a month ago. It is very "Sharks and Jets" oriented (link for the younger watchers but I still enjoyed it very much. I have always thought he could have been a good serious actor (for some things). But the late 40's early 50's Martin and Lewis simply rank up there with the greats for me. I think Jerry did some serious acting in King of Comedy. 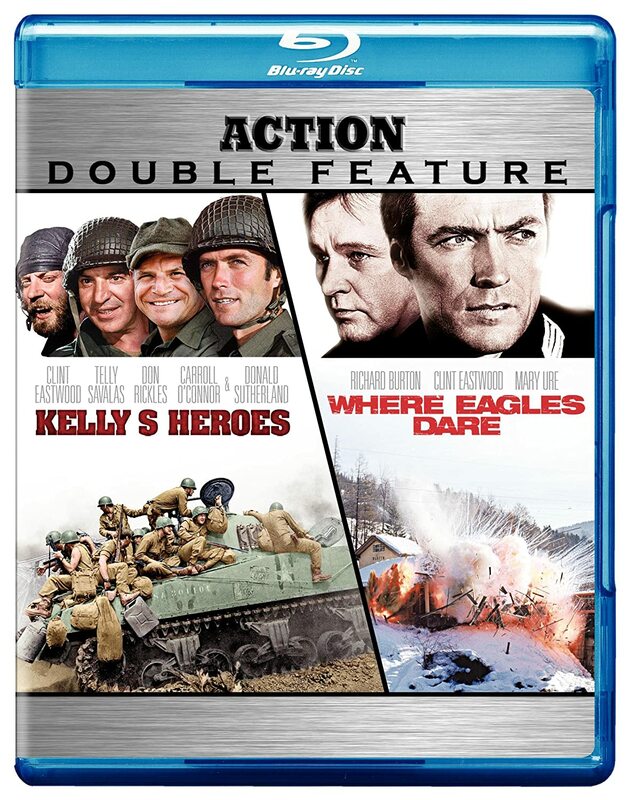 I guess I'll have to rewatch Where Eagles Dare before I start reading it. Overview Eastwood and Richard Burton go Where Eagles Dare in a twisty thriller written by action master Alistair MacLean (The Guns of Navarone, Ice Station Zebra). The mission is clear. Get in. Get the general. Get out. Commandos charged with freeing a U.S. general from an Alpine fortress should also be told to trust nothing – including the search-and-rescue orders just issued. My thoughts So, I re-watched Where Eagles Dare on blu-ray. It may have its faults. The story is pretty far-fetched and has some plotholes. There are some scenes that have issues, if you look close enough. But it's a frickin' good action adventure story, and even though I know all the twists by heart, I still love it. The most impressive part of the film is the cable car sequences. Some of the scenes were shot on location on real cable cars with stuntmen. Some were shot in the Borehamwood studio with the stars or with the stuntmen, depending on the complexity of the scenes. The whole thing is technically excellent, and would never have been so exciting if it had been done with CGI. The film is over 2 ½ hours long. It doesn't feel long. I must have seen this at least six or seven times before; in the cinema, on VHS, on DVD and now the second time on BD, but I've never looked at my watch thinking it was too long. And that's high praise, because I often get fidgety if a film goes much over 90 minutes. Being a fan of both Clint Eastwood and Richard Burton helps here, but they are not the only good actors. In fact, I think that the casting is excellent over all. Now it's time to read the magazine, and when that's done I wouldn't be surprised if I find that I need to see the film over again. No complaints there. 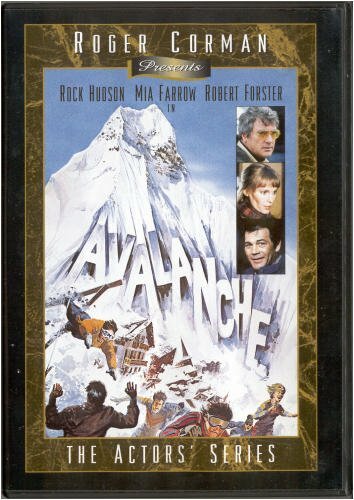 Overview A winter wonderland becomes a nightmare of destruction, when an avalanche smashes into a ski resort. Now a holiday vacation will become a struggle for survival. My thoughts Someone mentioned this film recently, and I noticed that I had a pan&scan release, so I got curious and checked if there was a widescreen release. I found that there wasn't, but moreover I found that the release I own now sells for ridiculous prices. $92.98 new on Amazon! I hadn't watched it for 10 years, so I didn't remember it too well. But I had a feeling that this couldn't be worth 93 bucks. Still, it made me wonder. So I dug it out and re-watched it. I couldn't believe I rated this 3 stars back then. It's barely a 2 star movie. There is very little right about this movie. The actors look uninterested. The avalanche itself is a mix of stock footage and a styrofoam disaster. The script is... well I don't know what to say. It seems like the scriptwriter gave up half way through and just said “I don't have an ending, let's just shoot what I have”. The only reason I give it 2 ½ stars now is that I really like disaster movies, and this one has one or two ok disaster scenes (and a whole lot of crap ones). But $92.98? $2.98 would be more appropriate! Overview Roy Scheider lends his immense talent to this taut action-adventure from director William Friedkin. Set on the edge of a South American jungle, a desperate four-man team, led by Scheider, must transport a cargo of nitroglycerin over 200 miles of treacherous terrain in order to stop a potentially disasterous oil fire. Enter into this explosive mix of split-second strategy and jolting suspense set against an outstanding scor by Tangerine Dream. 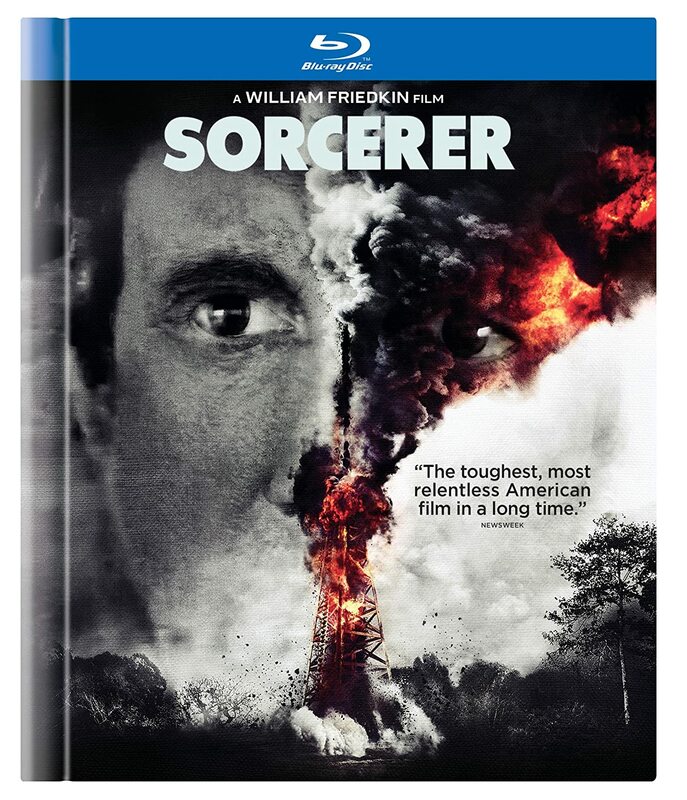 My thoughts I have an old p&s DVD of Sorcerer, but when I heard about the restored widescreen version on blu-ray I had to get it, and if ever a double-dip was worth it, this is it. Sorcerer was very poorly received when it opened back in '77, and many – even movie fans – never heard of it. I have to admit that for the longest time I didn't know that Georges Arnaud's book had been filmed twice. Friedkin does not consider Sorcerer to be a remake of The Wages of Fear, but a new film based on the book. Depends on your definition of “remake”, I guess. When I watched it I tried not to compare it to the previous film. A note of warning: Only the blu-ray has the restored version. The DVD with the same cover image that Warner released the same day is just the old p&s release recycled. Shame on you, Warner! I will put this on my list to get. I love The Sorcerer from the soundtrack by Tangerine Dream to Friedkin's masterful direction of Roy Scheider, Bruno Cremer and Francisco Rabal. This film is beyond a thriller. It is so woven with texture that it can be overwhelming. If you love Friedkin's work you will love this. But if you have never seen it be aware that it is very very intense. Thanks for the heads up on the blu-ray version .. I have seen the original and thought it was great; although the first hour or so is rather tedious. The Sorcerer has been on my wish list ever since it was announced and I am only waiting for a small price drop to get me to order it. Well, Sorcerer takes its time getting to the action, too. But I never found it tedious. It's been a long time since I saw the original, so I don't remember much of the part before they get into the trucks. I have a feeling that it doesn't go into the background of the four men in the detail that Sorcerer does. But I could be mistaken. That's not the part of the film that really grabs you. Sorcerer is one film that I have never seen, although I've been aware of it since it was released in 1977. The Wages of Fear is a classic and one of my all-time favorite films. I think I'll put Sorcerer on my list of DVDs to get. Are you sure about the DVD being a pan & scan job? I believe Sorcerer was shot hard-matted @ 1.66 (camera negative), and I think I've read somewhere that the DVD transfer was a crop of this with no actual panning and scanning involved....but I could be wrong.